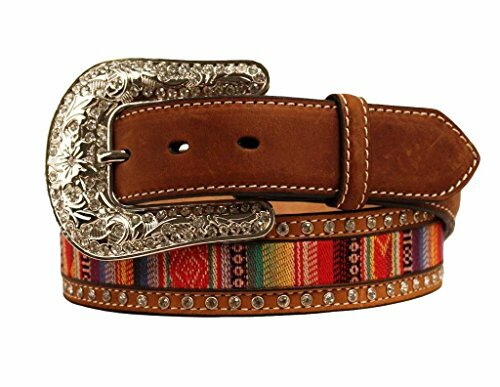 Nocona Women's Aztec Ribbon Inaly Belt Med Brown Large by Nocona Boots at Boot Bag. MPN: N3426244. Hurry! Limited time offer. Offer valid only while supplies last. Nocona belts are made for today's chic cowgirls This belt features a colorful ribbon inlay at center with an Aztec design. Belt measures 1 1/2'' wide. Nocona belts are made for today's chic cowgirls This belt features a colorful ribbon inlay at center with an Aztec design. Belt measures 1 1/2" wide. Imported.